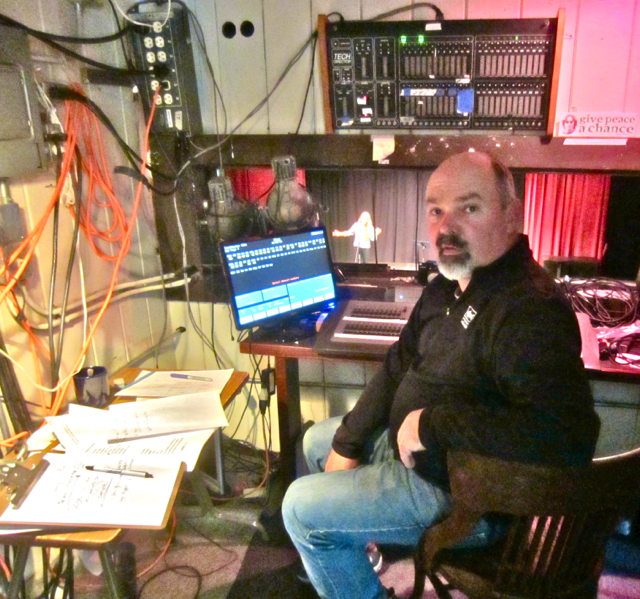 OLD CREAMERY – The Arcata Playhouse and KHSU Radio have joined forces to give voice to local community members through a program they are calling, The Word: A Community Storytelling Project. The Word is an evening of stories lived and told by community members and local storytellers, around the theme of “Being in Community.” Storytellers have been encouraged to explore what that means to them, bringing their unique perspective to this universal theme. The project will culminate in two evenings of live performances at the Playhouse on Friday, April 26 and Saturday, April 27 with a live KHSU broadcast on the 27th. Over the past two months the project has hosted a series of four storytelling workshops at the Arcata Playhouse, where participants have crafted their stories under the guidance of local storyteller Ali Freedlund with assistance from storytellers Paul Woodland, Jeff DeMark and Charlene Storr. In addition to the workshops at the Arcata Playhouse, project assistant Lauryn Axelrod worked with residents at Timber Ridge in McKinleyville. Axelrod encouraged stories from the residents which were then recorded for the performance. “I loved hearing their stories. What was really beautiful was that the act of telling the story brought them together as a community. They were so excited to hear each other’s stories, and it enabled them to see each other in a different way and appreciate each other for the richness of their lives, ” said Axelrod. The culminating performances will include live stories performed by workshop participants and local storytellers as well as some pre-recorded stories. The Randles- Lebolle-Amirkhan Trio will provide live jazz music for the evening. Performers will include Ali Freedlund, Jeff DeMark, Jackie Dandeneau and Meghan Frank along with community workshop participants Maggie Gainer, Carole Wolfe, Jan Bramlett, Kiernan Powers, Gabriel Vanaver, Mary Ann Madej, Sharon Fennell (Sista Soul on KHSU) and Gayle Pascal, and others. The project is partially funded by the California Arts Council: Creating Public Value and The Ivy Erene Hughes & Carl G. Lundgren Fund, a fund of the Humboldt Area Foundation. Performances will begin at 8 p.m. sharp on Friday and Saturday, April 26 and 27 at the Arcata Playhouse at 1251 Ninth St. Tickets are $10 general and $8 students and seniors and are available at Wildberries Marketplace or by calling (707) 822-1575. This entry was posted on Friday, April 26th, 2013 at 12:44 pm	and is filed under Scene. You can follow any responses to this entry through the RSS 2.0 feed.